Owens Corning Roofing and Asphalt, LLC, and its family of companies, have been leaders in the building materials industry for over 70 years. 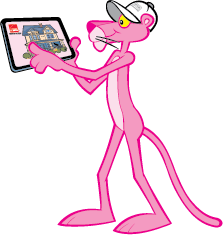 In fact, there’s a good chance you have PINK® Insulation in your home. Owens Corning™ Roofing Platinum Preferred Contractors represent less than 1% of the roofing contractors in the industry. They provide the peace of mind that comes from having quality shingles installed by local experts and perform workmanship few other contractors can offer. There’s a reason Owens Corning™ Roofing is one of the biggest names in the industry: commitment to excellence. So it’s no surprise that Owens Corning™ Roofing endorses only the best and the brightest. Owens Corning™ Roofing Platinum Preferred Contractors are the top tier of a premier network of roofing professionals chosen specifically for their commitment to service, reliability and professional craftsmanship. They meet the highest standards and satisfy the strictest requirements — all to give you peace of mind that you’ve chosen the right contractor for the job. Owens Corning™ Roofing Platinum Preferred Contractors are the only contractors who can offer the Owens Corning™ Platinum Protection Roofing System Limited Warranty. * The Platinum Protection Roofing System Limited Warranty* not only provides our strongest coverage, it also covers workmanship for Life* (as long as you own your home). And if we trust your Platinum Preferred Contractor enough to guarantee their workmanship for Life, so can you. At BulletROOF, we work hard to get you everything you deserve in your insurance claim, but it doesn’t stop there. Our experienced team will work with you to educate you on the products that meet the needs of you and your home. That’s not just shingle talk. At BulletROOF®, we educate our clients on the importance of ice and water barrier, synthetic felt, drip edge, ventilation…all the way down to the unique nails and caulk we use! We want you to see and understand the details we put into your new roof. This is just one of the many reasons we are the best roofing company in Georgia. Armor your home from leaks and issues down the road by choosing the best now. BulletROOF®. With a wide array of offerings to select from, we’re sure you’ll enjoy working with us. Look below our website to learn more about us, our warranties and products and ways to contact us today!